Reliable 30 hour battery back-up in the even of a power failure. The most extensive battery back up available. The Help Call Base Unit simply links to power and your telephone jack and can be used alongside your existing telephone. 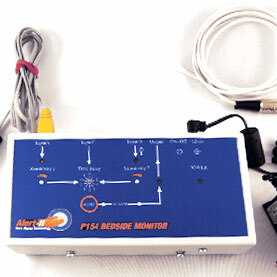 Use the Base Unit with all the Help Call personal devices like the Help Button, Fall Detector, Flood Sensor, Inactivity Monitor, etc. 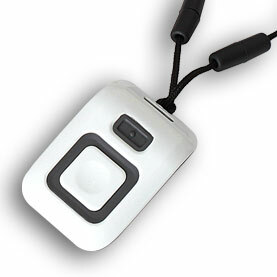 Attractive Pendant style, the personal Help Button weighs less than ½ ounce so is very lightweight. The adjustable length cord also features safety ‘break away links’ unlike other personal response providers. The Pendant allows access by both hands when you need to press for help. 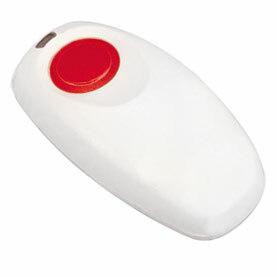 Discreet Wristband option the personal Help Button weighs less than ½ ounce so is very lightweight. The adjustable length wristband enables you to wear in a comfortable position on your wrist. 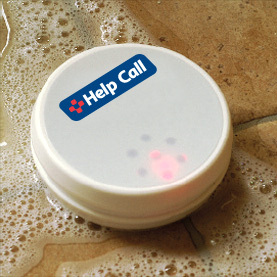 The Help Button is full waterproof so can be worn even in the shower or bath tub. Can be worn either as a Pendant with safety break away links or Wristband. Can be pressed to answer incoming telephone calls so your caller can be heard over the loudspeaker on the Help Call Base Unit. Detects low, high or rapid rate of rise of temperature within the home and sends an appropriate alert to our Operators for early intervention. The wandering client sensor is designed to monitor the safety of people with cognitive impairments who may be prone to leaving their homes for an extended periods at inappropriate times of the day or night, putting themselves at risk. 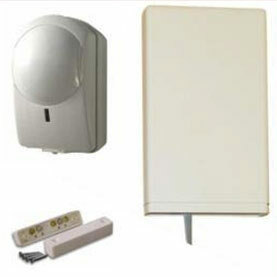 The wandering client sensor is located above the door and comprises a PIR (Passive Infra Red) movement detector, door contacts and a control module which together detect if someone has walked out of the door and not returned. 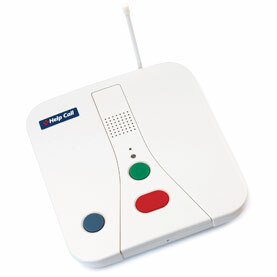 The alarm can be set to activate for certain periods of the day, and will work with the Caresse/Caresse+ to make a call either to the caregiver, onsite staff or the monitoring centre. The solution can be tailored to suit the specific daily activities of the individual. There is an optional facility available to automatically turn on an outside light to help reduce the risk of falling. 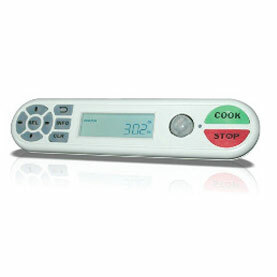 CookStop if a proactive solution for preventing fire and smoke damage that starts in the kitchen. The device attaches to an electric stove and monitors movement in the kitchen, automatically alerting our Operators and turning off the stove if the User leaves the room and does not return within a specific timeframe. 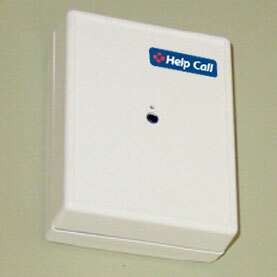 The Help Call Flood Detector provides early notification of a potential flood situation within the home when it is placed near the water source (eg bath tub or kitchen sink). When moisture is detected the Flood Detector activates the Help Call Base Unit and one of our Operators can notify the User, Caregiver or designated contact. 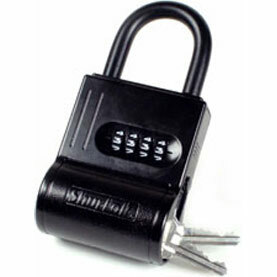 Offers a secure place to store a door key in the event that emergency access is required and your home is locked. Sits on your door knob or handle and a 4-digit combination code allows access only by trusted people if you are unable to let them into your home yourself. The Lock Box can also be wall mounted in a preferred location. Placed under the mattress, this compact device detects motions in events like epileptic seizures and provide an immediate alert if a seizure is detected.